Firstly, on behalf of myself, Cliff Guy and my incredible team and family, I welcome you to our Wild Guy World online. I’ve tried to keep this introduction and all our website content brief, yet informative enough to share each story and element with you, so you may also enjoy our fascinating journey. How amazing is the evolution of our lives; especially when we learn to trust and follow our instincts and flow. It seems very befitting that at this stage of this journey, my partner Sandi, son Samuel, daughter Stacey and I should land on a very private, richly forested acreage from which we have carved out our home and are establishing a unique place to share with others. The name ‘Wild Guy’ is derived from my surname; a title given to me by colleagues describing my adventurous character and passion for nature. It feels right that now, our own patch of wilderness be given the title of ‘Wild Guy Station’ during the time of our guardianship. As a trained actor, journalist, presenter and vocalist I have performed, hosted, written and produced countless stories and messages of worth for people and the planet for many years. I’ve not focused on celebrity status, but rather the craft itself, constantly inspired by skilful people and the natural world. Like most people in one way or another, there’s been success and strain, with life delivering our share of personal and professional ups and downs. In the peak of Sandi’s science and my television career, we suffered immense loss and years of emotional struggle; our hearts still yearning for our beautiful daughter Kahli who is no longer with us. Thanks to love, optimism and the truthful foundation Mother Nature provides, we’ve come through everything together. Now, my own path as a professional actor and presenter, aligns perfectly with our unique Wild Guy brand; and Wild Guy Station once fully established, will welcome visitors and guests of all abilities, all nations, all ages and all beliefs, to experience the magic. Cliff is a trained actor, journalist and presenter; and founder-owner of the Wild Guy brand and Wild Guy Station. He is a veteran adventurer and has filmed, photographed, produced and hosted an extensive array of high profile visual-media projects around the world. 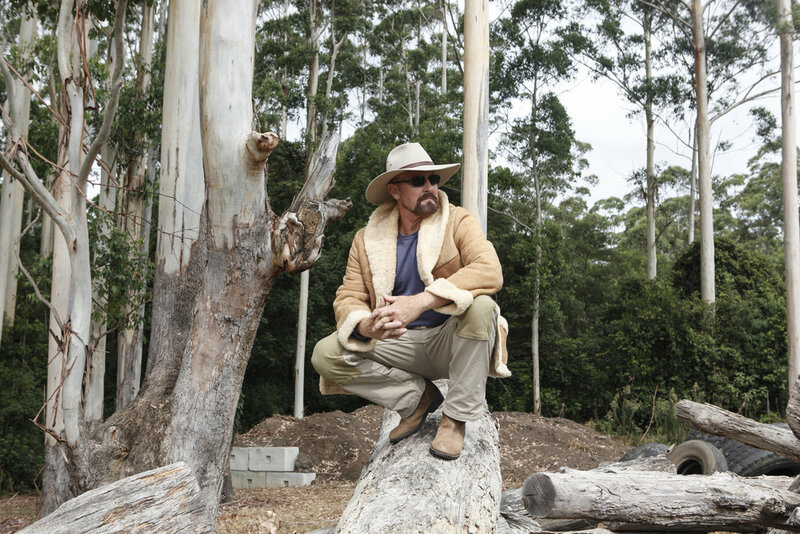 His knowledge, strength and tenacious attitude extends to the design and construction realm, donning his tools to develop his 115 acre 100% off grid paradise-retreat from what was an almost inaccessible piece of land. A very capable ‘Wild Girl’ in her own right, Sandi’s credentials include buffalo mustering and contract cattle farming in the Australian Outback to veterinary nursing and attaining an awarded Medical Radiation Science degree. An avid researcher with an adorable personality, Sandi is Wild Guy Productions Logistics Manager and much loved partner of Cliff’s. An amazing young ‘Wild Guy’ with a huge heart and an absolute passion for dinosaurs and animal encounters! Samuel was a ‘miracle baby’ who has since watched Wild Guy Station evolve to become his own domain; enjoying a dream childhood full of love and adventure. He is a fine young man with his own clear vision and a natural passion for drawing and tour-guiding. Kelly is Wild Guy Productions creative genius, hailing from Arizona in the USA. A professional photographer and gifted designer, Kelly has photographed almost every realm of humanity; from celebrities to politicians, paleaceous mansions to natural disasters. Like all of us, Kelly is driven to do great things for people and our planet, and her flare and happiness is an inspiration to the entire Wild Guy team.